I was going to wait to share these so that my photos had some kind of chronological order, but honestly my excitement got the best of me... (I'm sure you'll see why when you look). 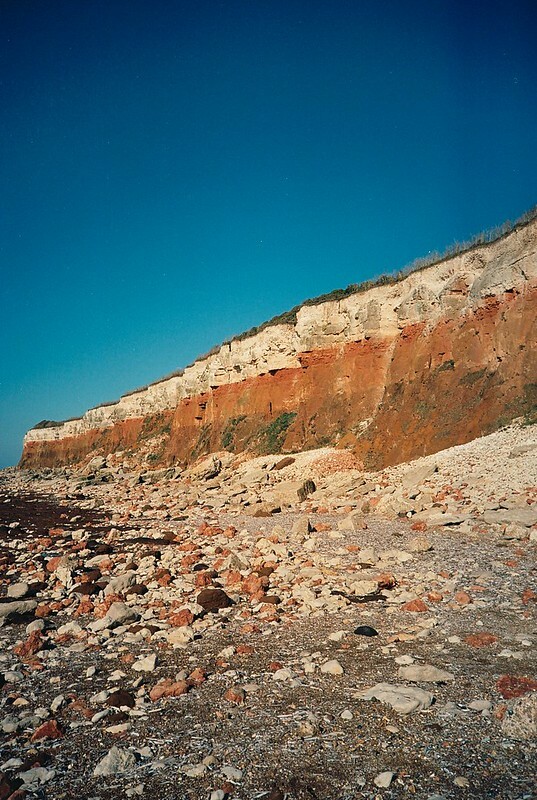 This spot in Hunstanton, overlooking the beautiful red chalk limestone and white chalk cliffs, has been one of my favourite places in Norfolk for a long time - in fact I remember doing a cubism project when I started high school using a photo of these cliffs which I loved. I'm so glad that I finally got a chance to use this Kodak Ektar film in the sunshine as well (I was extremely hopeful when I packed that one film haha). 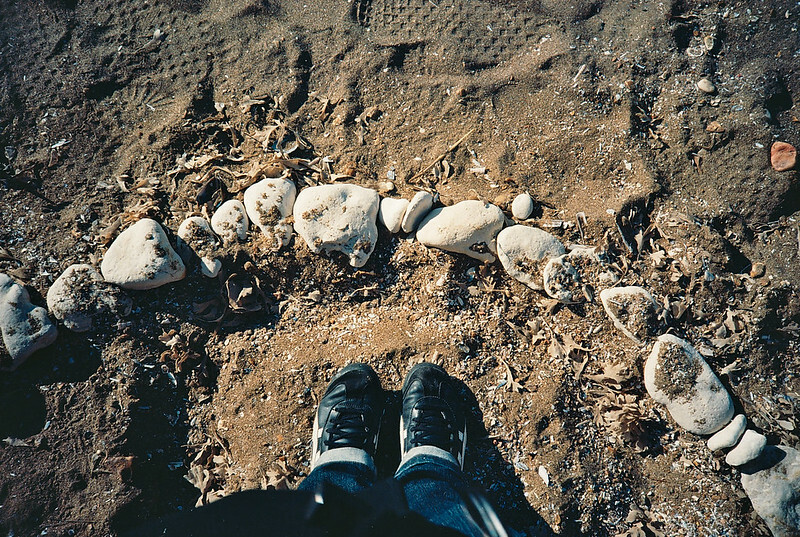 Oh also, you may notice that some of the rocks have been separated into different colour piles - I actually didn't notice at the time - Thomas's parents pointed it out to me and apparently there is a man who moves the stones around (which I actually found an article on here too) to protect the cliffs. Ah man, I love Norfolk.